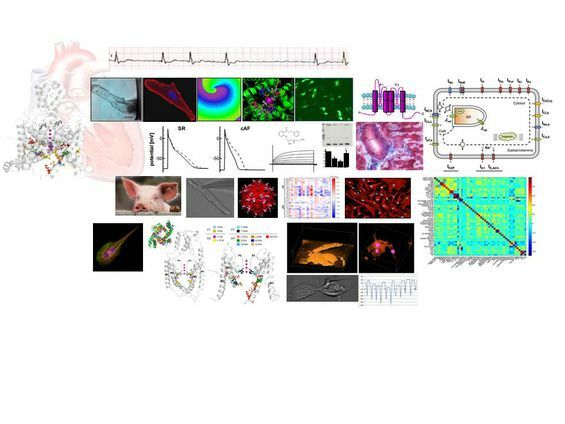 The project group Atrial Arrhythmopathy and Cellular Electrophysiology aims at understanding the electrical and structural mechanisms that promote and sustain different clinical forms of atrial arrhythmopathies. To this end, we apply various cellular and molecular electrophysiological techniques in combination with large animal models and computational modeling. In particular, we are interested in characterizing the cardiac two-pore-domain (K2P) potassium channels to understand their role in arrhythmogenesis. Aim of our group is establishing new therapy concepts based on novel pharmacologic modulators and AAV-based gene therepy against atrial fibrillation. To support translation of new therapy concepts into the clinics, we study experimental approaches in large animal models. In our laboratory, we apply a wide spectrum of state-of-the-art techniques centered around cellular electrophysiology, including patch-clamp experiments, electric field stimulation and optical imaging of isolated human or iPSC-derived cardiomyocytes and fibroblasts. Relevance of our in vitro findings are confirmed in a novel large animal model of atrial fibrillation induced by bust pacing without causing heart failure. Furthermore, we apply standard molecular biological techniques and develop AAV vectors for gene transfer. Computational modeling approaches and in silico docking simulations are used for identification of drug binding sites at ion channels.